Wildflower’s 5/6th graders have been engrossed in their National Geographic Theme since school started back in August. Mid January, the students submitted 8 group presentations to National Geographic for its Geo-Challenge. Out of 1000’s of entries nationwide, only 250 projects were chosen. Of those 250 chosen, three of the eight groups from WOC were selected to present their projects in 1 of 15 regional competitions this Friday, March 29th in Fresno! Congratulations & Good Luck! This year’s theme is Ocean Plastic and How to Solve It. Each group will have 10 minutes to present their solutions, which includes a 3 minute question and answer session from the judges. The Orange Juice Sprinkler wrote a persuasive letter to Jeff Bezos of Amazon imploring him to reduce the plastic in packaging, The Wildlife Warriors made a model of a watershed and sent a video to schools along the Nile River to show how everyplace contributes to the plastic in the ocean. Trashy Toys is the brand name of the “How to Make Toys Out of Plastic” YouTube videos produced by the Keys to Success group. They are hoping to reduce the amount of plastic in the Amazon River by showing young people how to reuse plastic and let people know about plastic pollution. Kudos to these students for the many additional hours outside of class to implement their solution ideas, determine its impact and prepare their presentations. These 3 projects were selected from the 8 submitted by our 5/6th grade students. Their ideas ranged from a sun-powered ray-bot that filters microplastic from the Great Pacific Garbage Patch, a biodegradable fishing net made from textile remnants, a plastic building brick from melted plastic used locally to protect our Sacramento River, a screen to prevent plastic from going into the Yangtze River, a social media challenge to build a plastic structure out of reused plastic along the Mississippi. 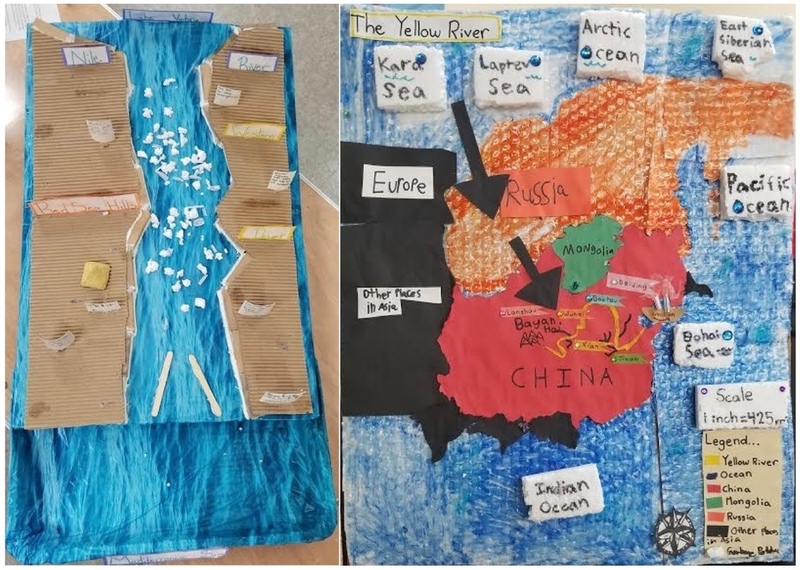 Each team had to submit a 4 minute video of their solution, a model and a map (of course) of their selected waterway, and a sources cited page. This competition was a perfect match for our integrated, thematic, and collaborative philosophy. Cassandra and Linda are so proud to be working with such creative, dedicated and ambitious students, and are honored to be representing Wildflower.